Putting your dishes inside of a dishwasher is supposed to make them clean, right? Unfortunately, this isn’t always the case. 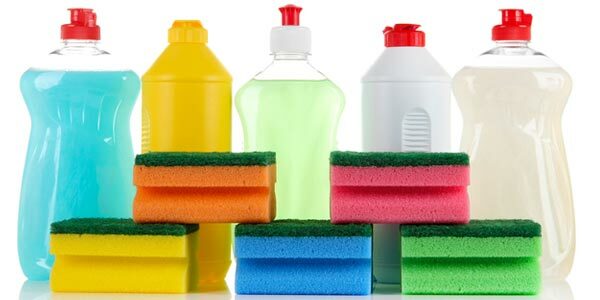 If you notice that your dishes still have spots and bits of food and grime on them after running a complete load, the reason your dishes are still dirty may be because you aren’t loading the washer right and not because your dishwasher isn’t working correctly. 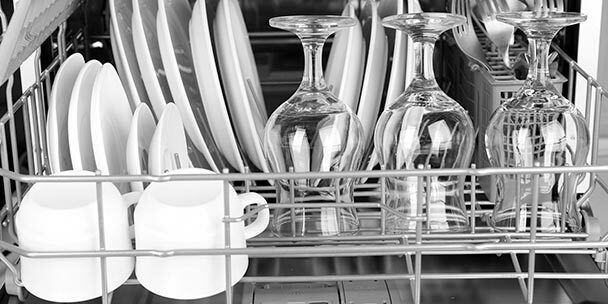 To get clean dishes every time, try out some of these tips and guidelines for loading your dishwasher. While there are a plethora of different dishwasher brands, sizes and designs on the market, each operates in essentially the same way. When you hit the “start” button on your dishwasher, a basin at the bottom of the machine fills up with hot or cold water, depending on the model. After this basin is filled, heating elements within the washer heat the water anywhere from 105-155°. Then, the little spot that you filled with detergent opens up and mixes with the warm water. Once the water is nice and soapy, it is propelled through sprayer arms and moved around throughout the washer for about 30 minutes. After the washing period is over, the dirty water is drained out of the machine through the pipes in your sink and clean water starts to fill the basin again. Then, this clean water is sprayed all over your dishes in order to get the soap off. After that, the same devices that heated the water in the beginning heat your dishes until they’re dry. Unfortunately, all of this cleaning, rinsing, and drying isn’t always enough to get your dishes all the way clean. 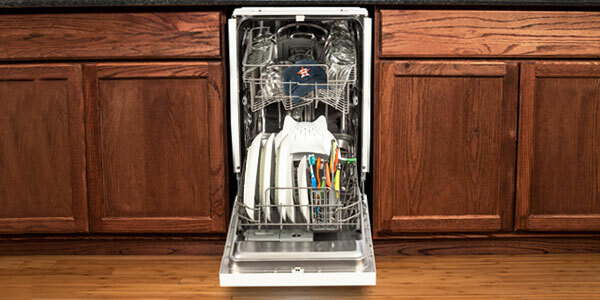 To ensure that you are getting the most out of your dishwasher, it would be wise to follow these eight tips. Glasses should always go on the top rack. Don’t put individual glasses on the tines to avoid your glasses rattling around during the cleaning process and getting marks on them. 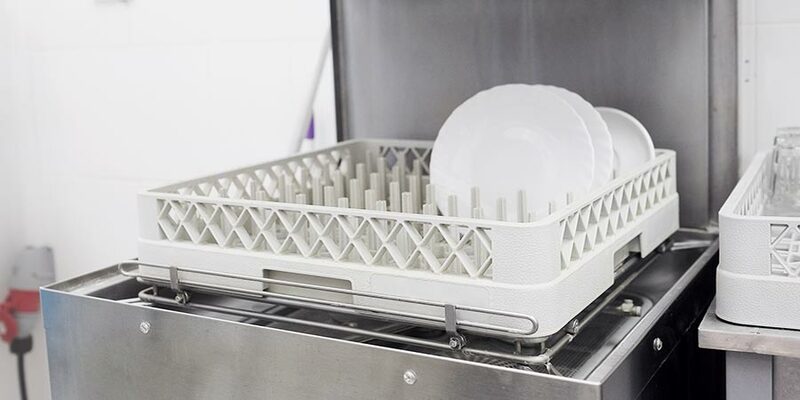 Put your plates on the bottom rack facing the center of the dishwasher instead of placing them all in one line facing the same direction. All bowls should go on the top rack. The bowls put in the front of the rack should face forward while those near the back should face the rear so that water is able to get in from all sides. Put butter knives facing down in the silverware container. For forks and spoons, some should go in upside down and others the right way to avoid nesting. Platters and cookie sheets should go in the bottom rack along the edges so that they don’t block the water and detergent from getting to the other dishes. Any casserole dishes, large pots, or serving bowls should be put in the bottom rack at an angle so that water is permitted to flow throughout both the bottoms and tops of these dishes. Long utensils, such as serving spoons, should be laid face down on the top rack so that they don’t collect water. Make sure to put plastic containers and children’s cups on the top rack. 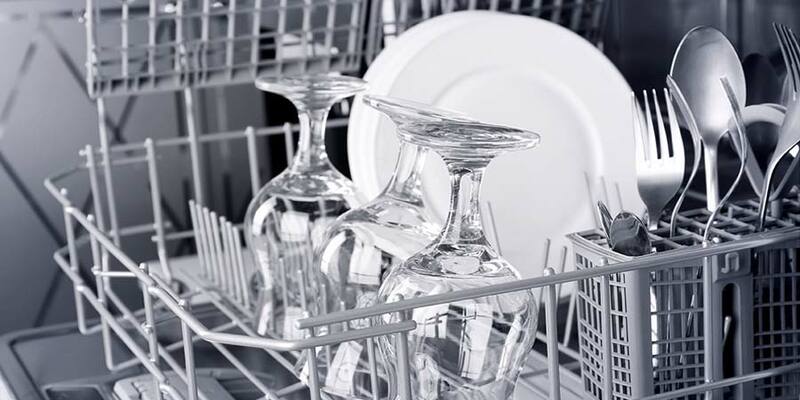 If you start following these loading guidelines, you may start to notice a dramatic difference in the cleanliness of your dishes after you run them through your dishwasher. If you want to take it a step further, try experimenting with the different wash cycles and settings on your dishwasher. For example, if you just threw party at your home and have a bunch of dirty glasses lying around, place them on the top rack and try out the quick clean setting. This is a good setting to get dishes clean fast that are only lightly soiled. 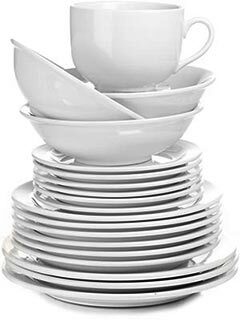 In reality, not all dishes get washed the second food is removed from them resulting in dishes with dry, caked on food that can be difficult to get completely off. To take care of those difficult dishes, try using the high-temperature wash cycle. This heats up the water in your washer about five to ten degrees hotter than normal to disintegrate tough food on your dishes. However, make sure that the dishes you wash in this cycle are able to withstand the extra heat. 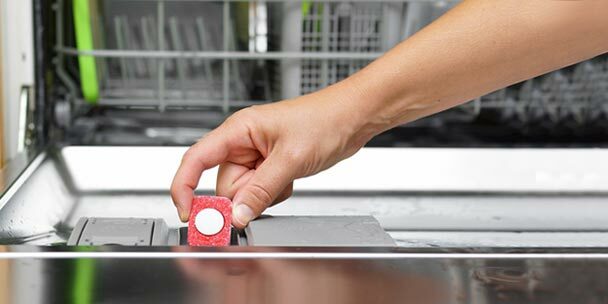 Don’t be afraid to experiment with the different buttons on your dishwasher and use these correct loading procedures to get clean, sparkling dishes every time!